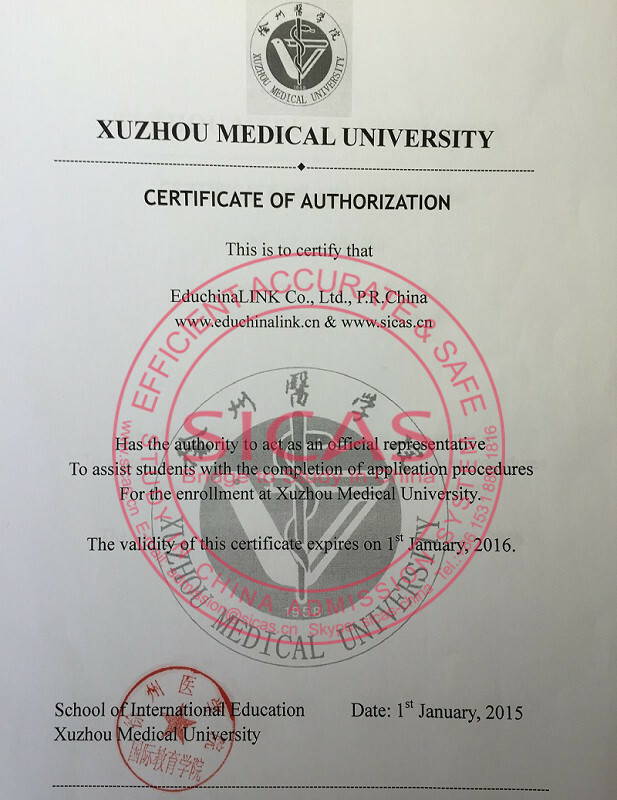 This curriculum is designed for students coming from Nepal, Pakistan, India and other countries who want to study in the renowned Xuzhou Medical University. The students shall have to get basic knowledge of Chinese language and to pass the HSK examination, which is the basic examination compulsory for students from outside China. The curriculum is prepared keeping in view the needs of the students and the requirements of the country they would come from so that they are competent to practice or go in for post-graduation in their country of origin. It is envisaged that the students shall go back to their respective country after the completion of the course for their compulsory rotating internship; however, facilities for completing internship in Xuzhou Medical University shall also be available. The curriculum aims at providing the students knowledge and skills to diagnose and manage patients, develop attitudes ingrained in the profession, develop proficiency and competence to determine and resolve medical and health problems and develop interest in continued medical education. (1) first four semesters are devoted to the integrated teaching of basic medical subjects. In the first part, the subjects taught would be-Anatomy, Physiology, Pharmacology, Pathology, Biochemistry, Microbiology and Community Medicine. (2) next five semesters are devoted to the clinical subjects. In the second part the subjects taught would be-Medicine, Surgery, Pediatrics, Orthopedics, Obstetrics and Gynecology, Ophthalmology, Radiology, Anesthesiology, Skin and V.D., Psychiatry and Forensic Medicine and Toxicology. 2. 18-30 years old with physical and mental health.